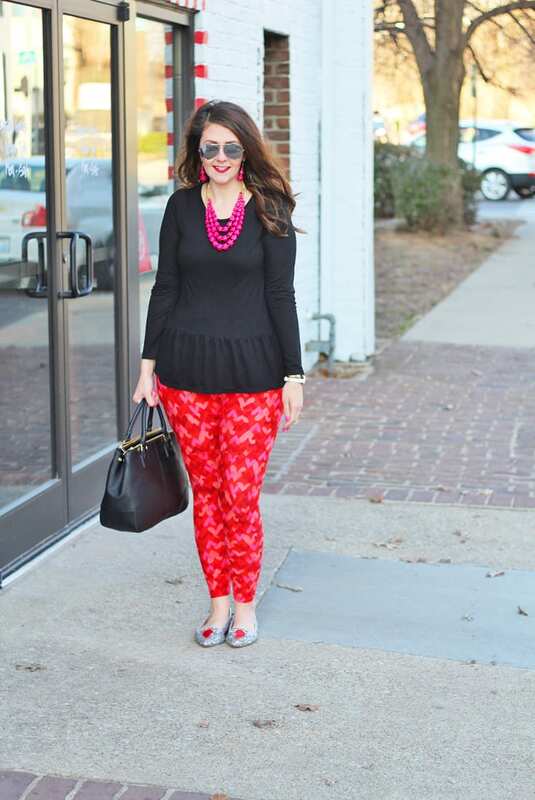 While this work will totally work for your Valentine’s Day look as well, I think it is perfect for a Galentine’s Day friend date! 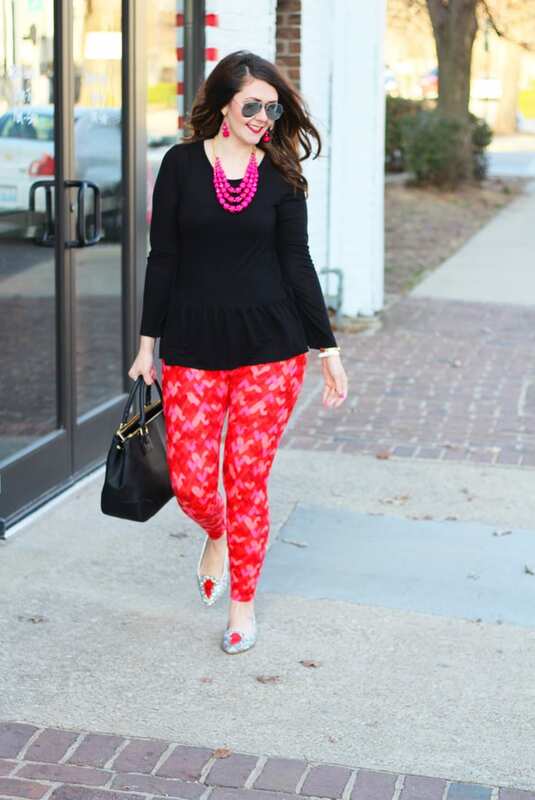 So I’m teaming up Becky from BYBMG and Nicole from What Nicole Wore to bring you three cute Galentine’s Day outfits featuring our LuLaRoe Valentine’s Day leggings. 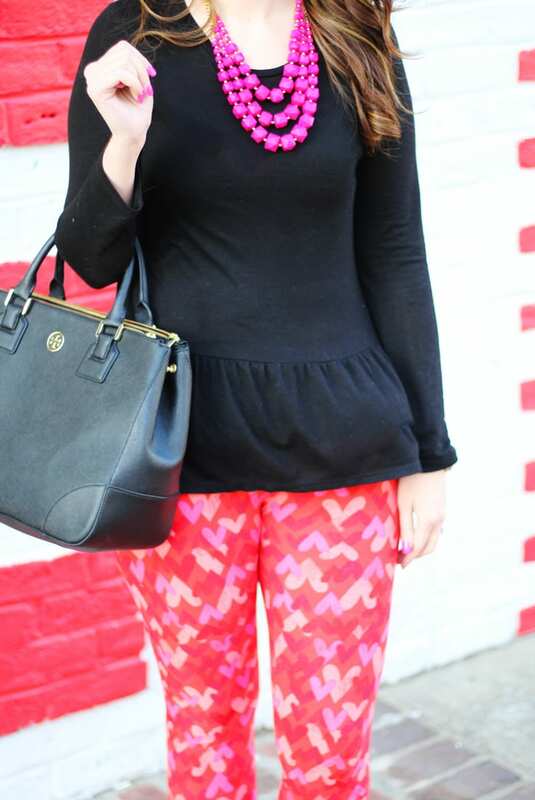 I’m also part of a big blogger Valentine’s Day round-up and giveaway (anyone like Kate Spade??? ), so be sure to check that out at the end of the post! 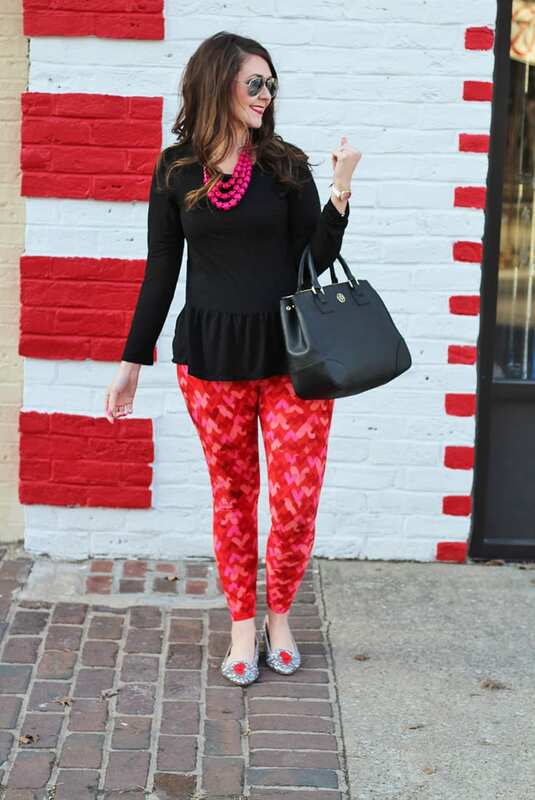 I absolutely love these LuLaRoe Valentine’s Day leggings–how cute is this pattern?! They’re also super soft. I snagged my pair from Shop LuLaRoe Tracy Vazquez. 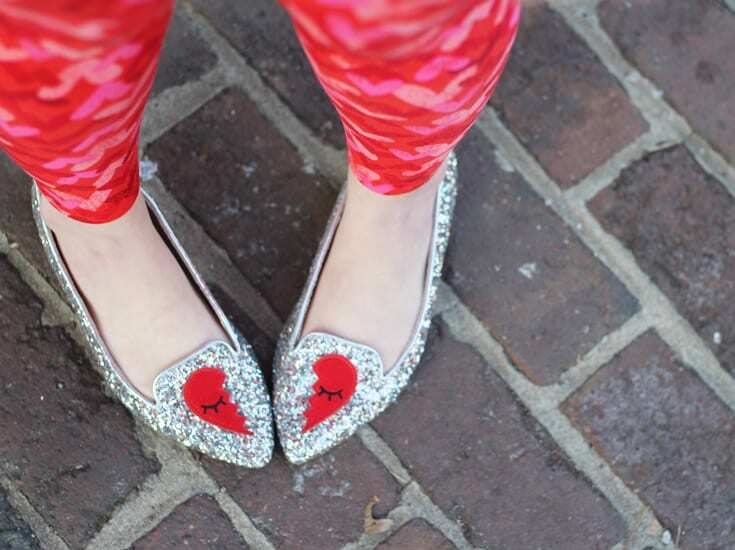 Her Facebook shop is open until 8 p.m. eastern time tonight, so you may still be able to grab a pair of Valentine’s Day leggings. She had some in stock as of last night. 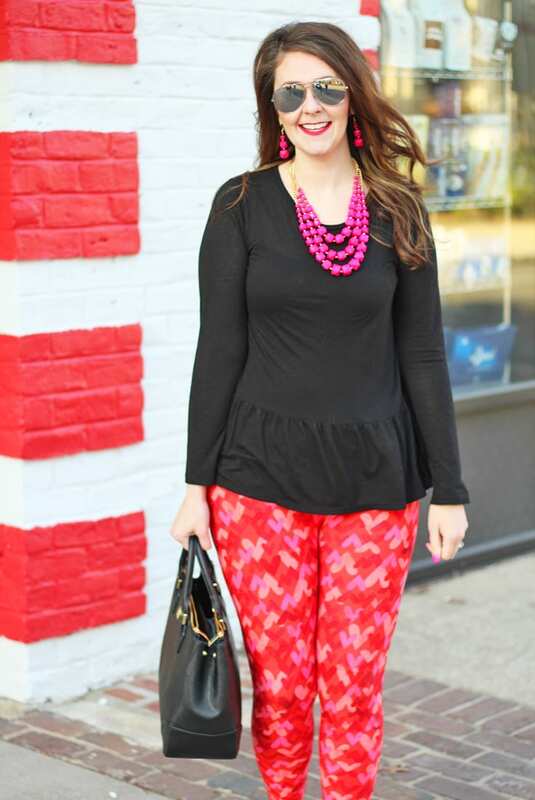 The leggings are the center point of the outfit, so I pair them with a black peplum top to allow them to shine. 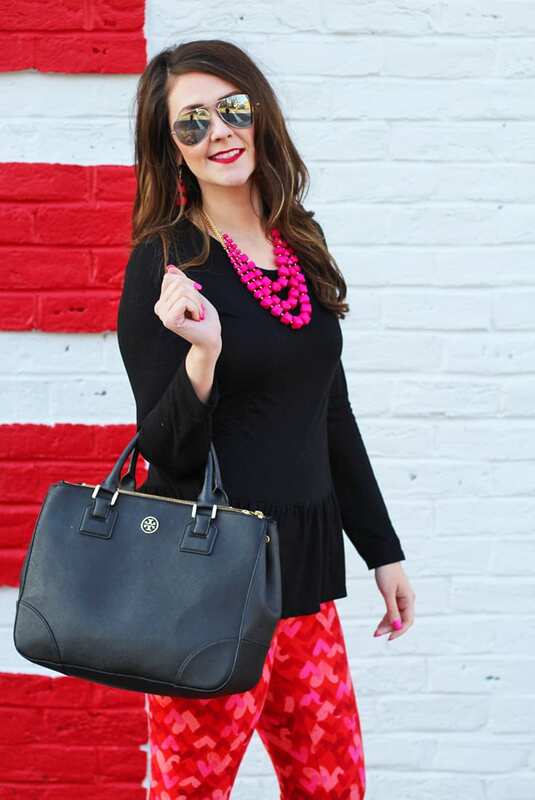 I grabbed my black Tory Burch Robinson Tote to tie in the black. By the way, this tote is my favorite work bag ever! It has 3 compartments and fits my laptop and legal pad! It was an investment, but I’ve carried it almost everyday since I purchased it in September. 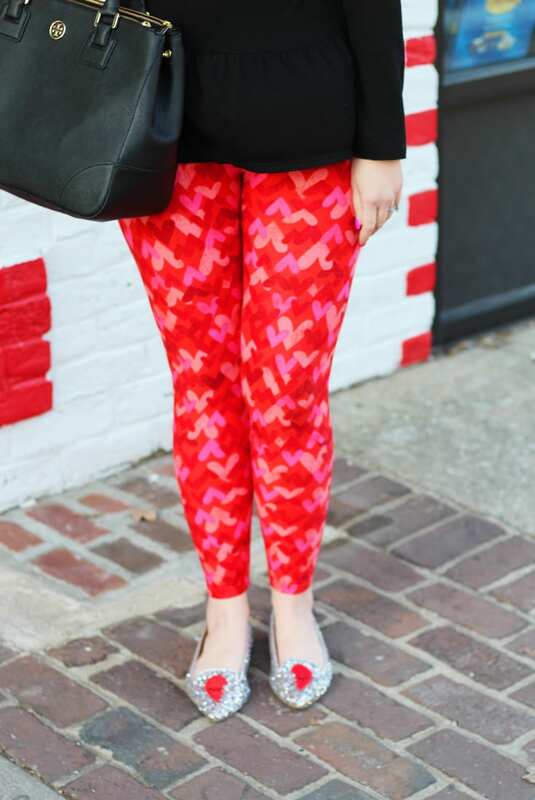 Of course I had to pair these Express flats with my outfit! They’re perfect for Valentine’s Day. It’s a little hard to tell, but there’s some red glitter mixed in with the silver! 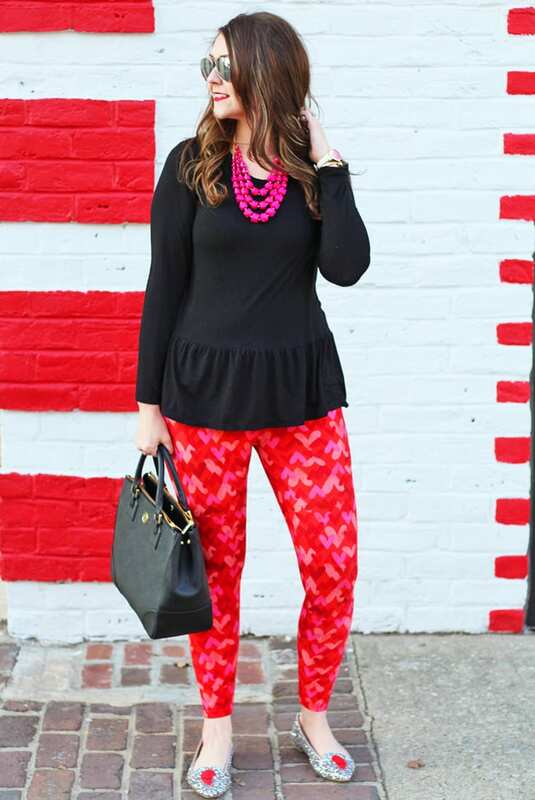 Be sure to checkout how Becky and Nicole are styling their LuLaRoe leggings for Valentine’s Day as well!!! Pin this outfit for later via the widget below. Enter the Valentine’s Day giveaway to win a Kate Spade wristlet, Kate Spade earrings, a Betsey Johnson scarf, and a $25 Sephora giftcard! 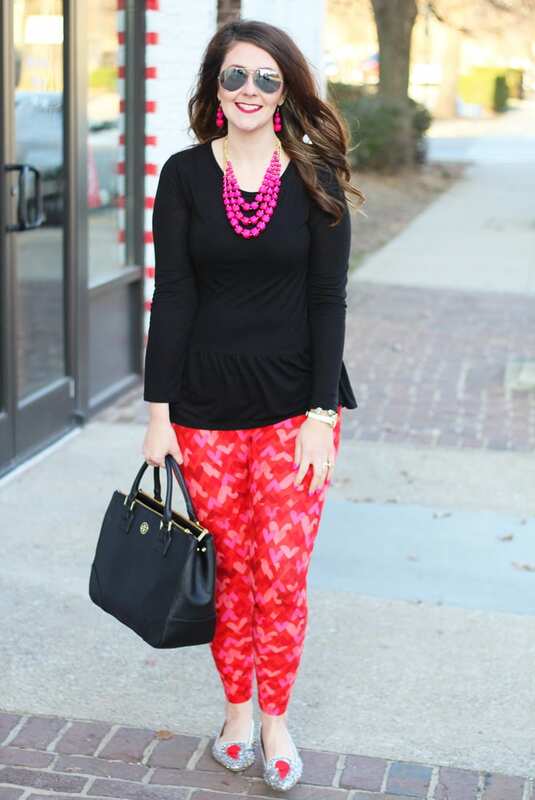 And don’t forget to checkout everyone’s Valentine’s Day outfits in the blogger round-up here. You can join the link-up below!